ST Engineering’s 2Q18 core net profit of around S$128m in line with our estimates, well on track for earnings growth in FY18. Orderbook remains near peak level of S$13.4bn. Early redemption of bond due in 2019 should result in interest savings, and boost PBT margins. Trade war concerns not material at this point. BUY on multiple re-rating drivers ahead. 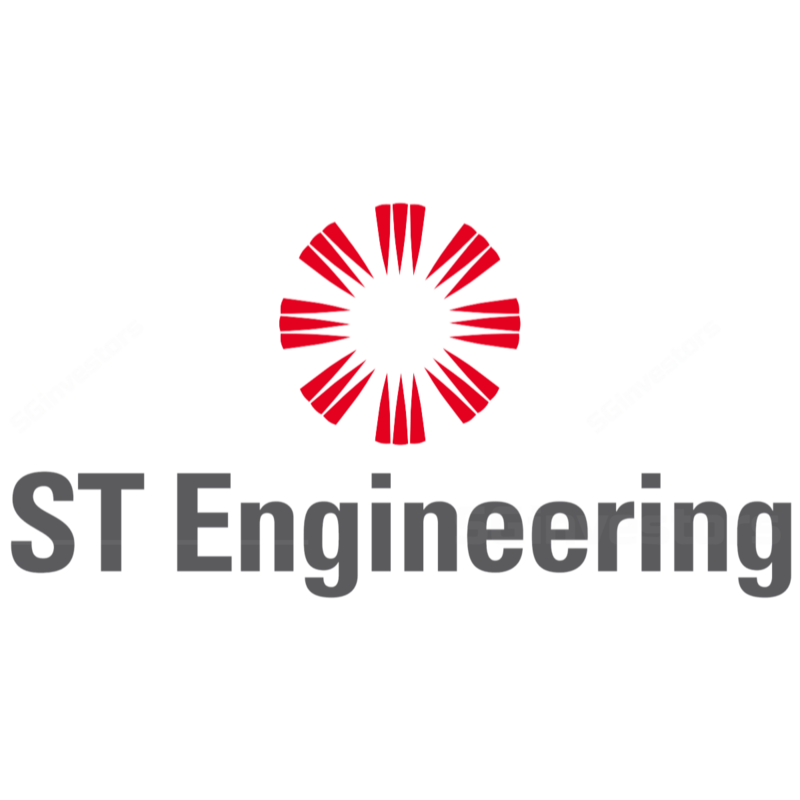 ST Engineering (STE) remains a good investment opportunity for the long term. 2Q18 results did not throw up any surprises, with net profit up 10% y-o-y and the group remains on track to resume earnings growth trajectory in FY18/19. lower interest expenses and higher ROIC (return on invested capital) following early redemption of Notes due 2019. Demand in ST Engineering’s business divisions should not be affected much by the ongoing trade war tensions, and higher input costs are generally provided for in contracts. Overall, we believe ST Engineering is at the cusp of a ‘next leg up’ in its growth story while trading at reasonable valuations (forward PE of 18.6x is just below mean historical level). Meanwhile, dividend yield of 4.5% provides support to the stock price. Significant order wins, turnaround at US shipbuilding operations, and progress with smart city initiatives. Our Target Price of S$4.10 is based on a blended valuation framework, which factors in both earnings growth and long-term cash-generative nature of ST Engineering’s businesses. A protracted slowdown in shipbuilding and execution hiccups at new business segments could derail earnings. Also, lack of action on the M&A front could lead to inefficient use of balance sheet and lower ROEs in the future. ST Engineering’s PBT of S$150.4m was up 4% y-o-y and largely in line with expectations, after accounting for one-off expenses. ST Engineering recorded one-time interest cost of S$15.3m related to early redemption of its US$500m 4.80% Notes due 2019 and another S$4.4m losses on disposal of investments during the quarter, though this was partially offset by a S$8.9m disposal gain in Aerospace division related to sale of its 25% stake in associate Airbus Helicopters South East Asia. ST Engineering’s group revenues came in at S$1,651m in 2Q18, down 3% y- o-y, mainly as a result of Electronics segment recording a one- time revenue increase in 2Q17 from modification of revenue recognition estimates, which did not recur in 2Q18. Aerospace segment was the star performer in 2Q18, recording strong revenue growth of 12%, mainly driven by a recovery in the engine MRO division. ST Engineering’s net profit came in at S$117.5m, up 10% y-o-y, and without the one-off items mentioned above, net profit would be roughly S$128m, accounting for around 24% of our full year estimates and tracking well in line or slightly above usual seasonality. PBT margins generally in line, improvement expected. Overall PBT margin came in at 9.1%, which was higher both y-o-y and q-o-q, despite negative impact of the early redemption of the Notes. The Notes redemption though is expected to save S$33m in interest expenses over the next 12 months, which should help boost PBT margins in coming quarters. Engine workload trend looks promising. ST Aerospace’s engine shops are experiencing high utilisation rates, with an uptick in shop visits having been felt since last year, which has continued into 2018. Problems with the new Airbus NEO and Boeing MAX aircraft variants have delayed their entry into service, pushing back the retirement of some older aircraft, which is positive for MRO work in general. Meanwhile heightened checks on the CFM56-7B engines following the Southwest aircraft explosion has boosted workload on that front. Ramp up continues in Europe aerospace operations. The Aerospace segment margins declined on a sequential basis, excluding the impact of the disposal gain of an associate stake. This is due to higher operating costs incurred in the quarter as the management was ramping up production in Kodersdorf, Germany, to meet higher future demand from Airbus. Airbus Passenger to Freighter conversions, DHL has contracted for 8 firm A330-300 P2F conversions with an option for an additional 10. To date, 2 have been delivered, and margins should improve in future. Management also expressed confidence in DHL exercising options for 10 additional conversions. Management expressed confidence that the company is well-positioned to tackle rising input prices (due to trade war tensions) if they were to materialise. There are generally price provisions in contracts which enables ST Engineering to re-negotiate rates if input prices were to increase because of tariffs. Problematic ConRo vessels to be delivered soon. The delivery of the two problematic ConRo vessels being built by ST Marine’s US shipyard operations should relieve the shipbuilding sub-segment of additional provisions, and we understand the first ConRo vessel has been delivered in July 2018 and the second vessel should be delivered in October 2018. To recap, these two vessels are the drag on the Marine segment’s shipbuilding operations; shipbuilding would have been profitable in 1H18 if not for provisions on the ConRos. Orderbook remained flat q-o-q at S$13.4bn which is near the historical peak level. Announced order wins of S$1.28bn from the Aerospace and Electronics segments in 2Q18 were higher than previous year’s amounts. Narrow miss on US Marine Corps’ order. While ST Engineering and its partner SAIC recently lost out in the final round of the race to build the US Marine Corps’ Marine Amphibious Combat Vehicle to BAE Systems, it can take heart that it was competing with the best and largest defense contractors in the world and was one of the top two contenders. The partners are still bidding for another US defense contract – the US Army’s Mobile Protected Firepower (MPF) light tank, though that is still in the initial stages. Elsewhere in the US, ST Engineering’s local subsidiary VT Hackney is in the race for the US Postal Service’s mail delivery truck orders, and could likely win at least a portion of the orders, in our view. Balance sheet remains strong; ROIC should improve following Notes redemption. Balance sheet remains healthy even after the Notes redemption, and importantly, the redemption will help boost future ROIC levels. 1H18 operating cash flow remained strong. Interim dividend of 5.0Scts was announced, at par with previous years.